We started with 9 girls against a peloton who was determined to break us. 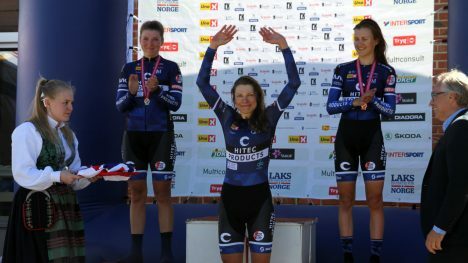 CK Victoria with 13 girls and Grimstad with 7 was expected to be the strongest. We opened very hard in the tough course, and broke the peloton to pieces in the first hill, with hard work from our climbers Vita/Ingvild/Katrine/Cecilie/Miriam. After the hill, 6 girls rode away with Susanne and Thea in it. Later, Katrine rode up to the group, which took away the desire to race from the other teams. After another few hard rides up the hills we ehere reduced to a group of 12 in the front where we had 6 riders, Susanne, Miriam, Vita, Katrine and Cecilie. On the 4th lap Katrine and Vita attacked the group of 12 and rode away with Ingrid Lorvik (CK Victoria). After getting 3 minutes, Katrine and Vita stated attacking Ingrid, but in a whole lap they could not get a single meter. In the mean time, Miriam and Susanne had escaped from the group behind and was on their way up to the trio in fromnt. We decided to wait and let Ingrid pull the trio almost to the line. Vita attacked on 300 meter and sprinted to her second consecutive title. Katrine outsprinted Ingrid for the silver. Miriam followed alone on 4th, and Susanne followed alone on 5th. We also had Cecilie on 7th, Thea on 10th, Tone on 19th and Ingvild on 23d place. Emilie had become sick and stopped after 3 laps. Simona in Italy nationals had a nice 7th on the ITT, but had to settle for 25th on the hard road race. 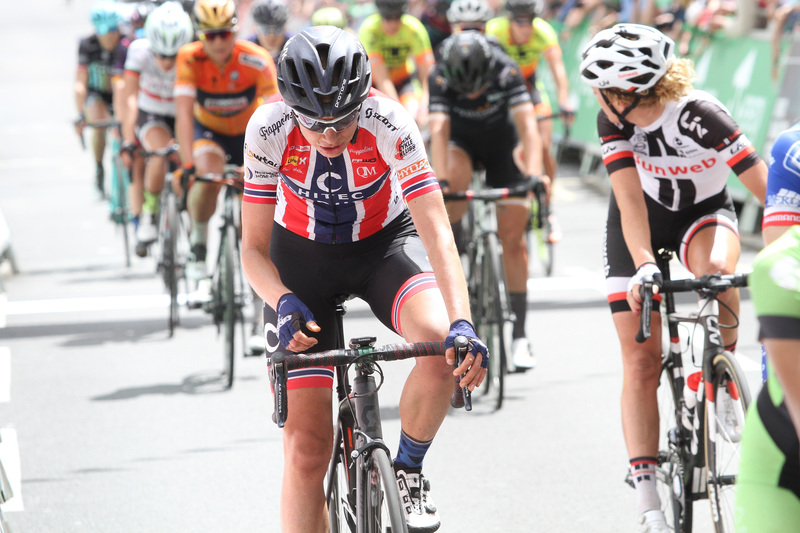 In the terribly hard competition in Holland, Nina took a nice 9th place in the road race while Ilona was 62nd. On the ITT only Ilona rode to a 25th place. 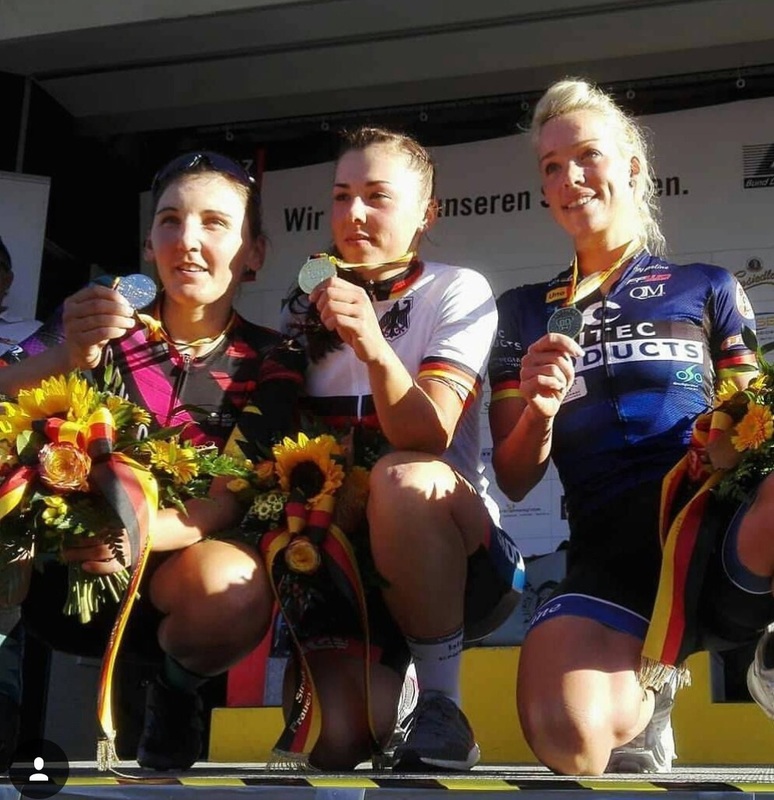 In Germany, Charlotte dinished 6th in the ITT but took a great 3d place in the RR. The saturday ranking race, where Tone, Ingvild & Susanne raced, started badly, both Tone & Ingvild out with mechanicals. Susanne was in great shape, however and won the race in a tight bunch sprint over Line Gulliksen. On the sunday, the team was reinforced with Nina Kessler. We had full control of the race. 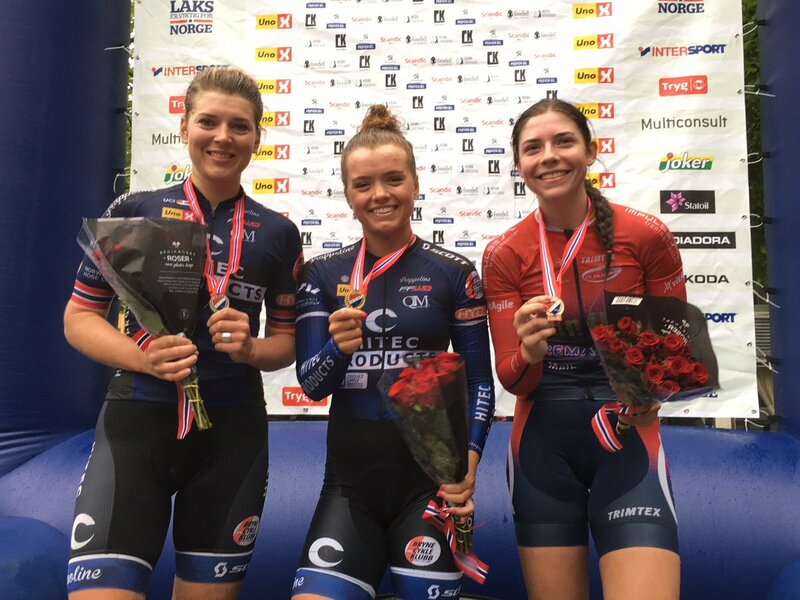 We let go a break of Ingvild and Julie Solvang (Grimstad), believing Ingvild would win the 2 rider sprint. It was not to be, Julie won it. Again Syusanne won the bunch sprint for 3d.